This 64-year-old entrepreneur turned to his childhood fascination with neon lights to put up a unique business that helps him forget the troubles of getting old. Early retirement didn’t pan out exactly as planned for Clemente Cobaria. At 51, he took a leap of faith and said goodbye to his job as a maintenance engineer at Manila Hotel. But his separation pay didn’t last long. “It was gone like a bubble,” recalls Cobaria, now 64, who gets by on his meager monthly pension. 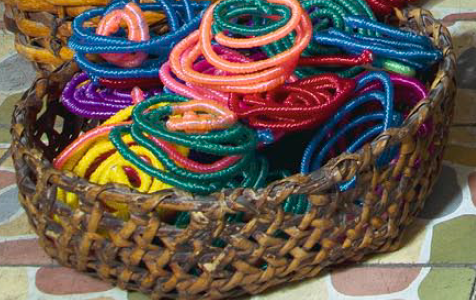 He channeled that curiosity and creative juices into business in 2009, when, with a meager capital of P1,000, Cobaria began experimenting with various upcycled materials for his business, Sintaz. 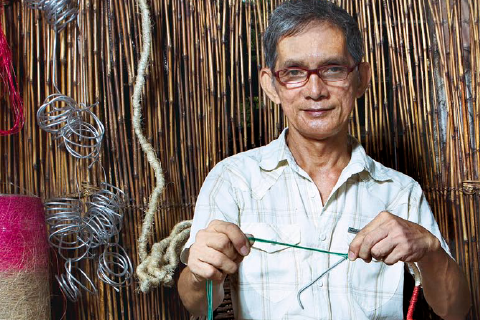 It took him two years to perfect the mix of materials for the multi-purpose decorative cable wire—which he has since patented—and to master the technique of bending it into works of art. Now, he makes the rounds in the bazaar circuit, and hopes to find a bigger market for his invention. Its versatility alone puts Sintaz a class above pretty ornaments or signages. In the right hands, he says, the material has a wide range of applications: It can be used as a teaching tool for art, to encourage motor skills, and even to relieve stress. “I feel confident and happy when I hear people say, ‘Hay, ang cute!’ upon seeing my artwork,” Cobaria shares. This article was originally published in the June 2014 issue of Entrepreneur magazine. Subscribe to the print or digital version here.